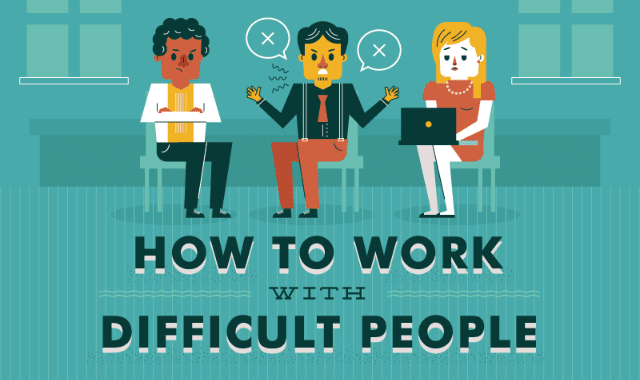 How to Work With Difficult People #Infographic ~ Visualistan '+g+"
Have you ever worked with someone who you just don't seem to get along with? It can make your working hours feel long and awkward, but the next step doesn't have to mean looking for a new job. There are many approaches you can take to stay in control.